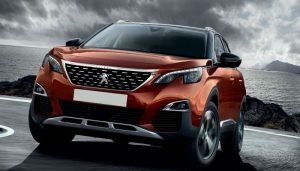 Regal Rentals is proud to announce the arrival of the stylish Peugeot 3008 to its fleet together with a further supply of the latest Peugeot 308 which is a very popular model with customers. Named 2017 Car of the Year, the Peugeot 3008 embodies a sleek design as well as numerous top-of-the-range safety features. Included in the vehicle is an intelligent autonomous braking system, which has been designed to avoid a collision or at the very least limit their severity by reducing the vehicle’s speed. It is triggered should the driver not react quickly enough to a potential collision, by activating the vehicle’s brakes. A further safety feature of the vehicle is the multifunction camera, which is located at the top of the windscreen and coupled with a front bumper mounted radar. These systems are able to detect any obstructions in the road. Meanwhile, the stylish Peugeot 308 is now better than ever with an updated design, superior technology and ultra-efficient engine. Displaying the very latest in Peugeot design, the new 308 really makes a statement. With bold, clean lines and a hugely efficient engine, this model also boasts a 3D Connected Navigation system and 180° colour reversing camera, to assist you on your journey. It has also made big strides in terms of its quality and reliability. Want to chat through your options? Give our friendly team a call on 01244 852 000. At Regal Rentals, we have seen a significant increase in flexi-hire requests over recent months. Long term flexi-hire gives you the freedom to hire a car for 28 days, 12 months or longer, without the ties of Leasing and Contract Hire. Whether needed as a stop gap whilst waiting for a new company car or for employees working away from home on fixed contracts, flexi-hire gives you access to a choice of car hire options with no long-term commitment or return penalties. “Regal Rentals were able to provide us with a long term flexible hire vehicle which enabled a member of the team to commute and fulfil an important 12 month contract and return home to be with family at weekends. “It also gives us peace of mind in that the monthly costs are fixed and the rental includes Service, Maintenance and Tyres plus Roadside Assistance if required. You can view a full list of what we think are the top benefits of flexi-hire here. Looking to get away with a group of family and friends this summer? At Regal Rentals we offer a range of stylish MPVs – people carriers seating 7-9 people – which are always popular from April through to September. The Ford Torneo Custom is a luxury vehicle suitable for special occasions and VIP events with seating for nine people. An elegant model with a stylish leather interior, the Torneo Custom boasts state-of-the-art features including a Pre-Collision Assist system which detects vehicles and objects in the road ahead, avoiding possible collisions. The vehicle also boasts Traffic Sign Recognition and Driver Alert systems for added safety. The seating is very comfortable and has flexible configurations to allow additional space for luggage and equipment. The Vauxhall Vivaro, which also seats 9 people, is a practical and comfortable vehicle that is also very stylish. With low fuel consumption, the Vivaro gives a powerful but ultra-smooth ride. It’s easy to manoeuvre and big on safety, and boasts a range of impressive features including Electronic Stability Control and anti-lock braking, with brake assist to help keep you in control in all conditions. The 7-seater Volkswagen Touran, awarded the “Best MPV” at the annual What Car? Awards, is a dependable and practical vehicle with lots of space and can be used as a 5 seater with additional luggage space. This MPV is based on the Volkswagen Golf and shares many of the positive traits of the family hatchback, with predictable and well-weighted steering, a cracking engine and all-round comfort. The 1.6-litre diesel engine is highly efficient, giving a reliable and robust ride for all the family. The impressive Citreon Grand C4 is a 7 seater that’s full of character. It’s an MPV that really stands out, with a fluid design, encompassing a panoramic sunroof for a bright interior. It is supremely comfortable with lots of storage space, driver assistance technology to keep you and your family safe and a dynamic performance, with fuel efficiency that’s ranked as the best in its segment. Don’t just take our word for it – hear what our clients have to say about the service they receive from Regal Rentals. “Regal Rentals has supported our company since 2002, and we value the friendly and efficient service that they provide and the range of new vehicles they offer. – Specialist risk management consulting and training company. – Computer design & manufacturing company. It’s a very busy time of the year for us at Regal Rentals. We have invested in new IT technology to streamline the business. We also have a number of exciting new accounts on stream through our partnership with Avis. We are proud to be working with Thompsons – a shop fitter and building contractor based in Blackpool. And over Christmas, we supplied Amazon in Stoke with 16 new vans via Avis for their peak season. We also supplied 44 vans to Royal Mail over the Christmas period. Tony Burns, Commercial Manager at Regal Rentals, said: “Regal Rentals is going through a period of growth right now and it is a very exciting time for the business. “Through our partnership with Avis, we have been working with a number of exciting new businesses and Christmas is always a very busy time of the year for us. Contact Tony on 01244 852 000. At Regal Rentals we care about our customers, so all our cars are regularly serviced, safety and quality checked before leaving us. You can rely on our knowledgeable staff to quickly gain a good understanding of your individual requirements and demonstrate all the seat and steering wheel adjustments on handover. Driving posture and safety have been in the spotlight a lot lately so we’ve highlighted some of the key points. What is a good posture for driving? Naturally, everyone will have a preferred seating position, which is why it is so important for drivers to be able to alter their seating. Your legs should not be scrunched up nor should you need to stretch to use the pedals. Slide the seat so you can operate the pedals and your thigh is relaxed and knees slightly bent. Tilt the seat so that it supports your thighs evenly and the back of your knees do not make contact with the seat. The seat angle should not be too laid back or up tight, typically a recline of 100 – 115 degrees supports the body in an attentive posture. The majority of new vehicles also have the option to adjust the seat height and also have adjustable lumbar support. It is also important to adjust the steering wheel so that you can see the dials clearly, do not slouch and actually hold the steering wheel rather than rest your hands on it. How often should I take a break when driving? The Highway Code recommends taking a break (at the very least) every two hours. Stopping for a break allows you to refresh and walk around because any posture, no matter how comfortable can become stressful over time. What can drivers do to prevent back pain? There can be many factors that contribute to back pain, so first and foremost you should assess your lifestyle and try to identify any trigger points. Good posture and regular exercise play a key role in preventing back pain. Persistent back pain as a result of driving should be referred to a GP and it is also advisable to seek a risk assessment from your employer. Avoid driving for long periods without a break and ensure that when you finish your journey to walk around and loosen up muscles and stretch before lifting luggage etc. https://www.regalrentals.com/wp-content/uploads/2018/02/pexels-photo-163945-1.jpeg 3597 5395 Regal Rentals https://www.regalrentals.com/wp-content/uploads/2017/03/logo.png Regal Rentals2018-02-27 14:48:592018-02-27 15:43:19Are you sitting comfortably? We are proud to announce the arrival of the Citroen C3 – Feel & Flair models and the Peugeot 3008 – Active models to our fleet. 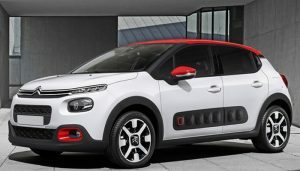 The comfortable and distinctive new C3 is instantly recognizable with its quirky design. Its unique shape sets it apart from others, with a bold front face and generous curves giving it a powerful stance. The model’s smooth lines, graphic elements (such as the coloured inserts surrounding the fog lights) and bright range of colours make it a stylish rental, which is also very easy to get around in thanks to its limited length. Meanwhile, the equally stylish Peugeot 3008 model offers another option. Named 2017 Car of the Year, the Peugeot 3008 embodies a sleek design as well as numerous safety features. Also look out for the VW Crafter – coming to Regal Rentals in March. Perfect for heavier and awkward loads. The Crafter can safely and reliably handle almost any situation with its innovative driver assist safety systems and Euro 6 Tdi engines. And don’t forget – our fleet includes the Passat Estate and Fabia Estate models. We have been seeing an increase in enquiries regarding flexi-hire at Regal Rentals recently. There are many benefits to this type of rental. First and foremost, it is a more flexible and fluid solution that enables businesses to meet vehicle demand. If you need a vehicle for more than 28 days, are waiting for a new company car to arrive or you have a new starter on probation, then flexi-hire is the perfect solution for business users. Get the latest make and model delivered to your door.